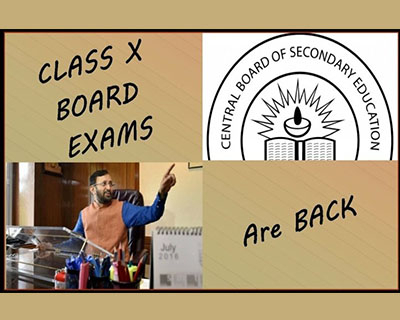 The CBSE Board has decided to implement compulsory board exams for class 10 from 2018 onwards. This decision was driven by a failure to achieve the best out of the holistic continuous and comprehensive evaluation (CCE) system brought into effect in 2011. In addition, the board has made the three-language formula compulsory. This move is believed to affect several students who study a foreign language as third language. What changes has the board decided to implement? The class 10 board exam which is currently optional will become compulsory once again from 2018. When brought to effect, it takes the place of the continuous and comprehensive evaluation system (CCE) that is currently being followed. It is not clear if CCE will be given up altogether. The language training system will be amended; a three-language formula up to class 10 – English, Hindi and another Indian language (one from the list of 22 in the Constitution) – will be introduced. Currently most CBSE schools teach English, Hindi or a regional language as the second language and a foreign language as the third language till class 8. HT reported that students have to secure simple pass marks in the third language, according to sources. The foreign language now being studied as the third language may have to be learned as fourth language by choosing it among the elective subjects. Those applying for the position of principal will have to take an eligibility test. Sources said all three decisions need the sanction of HRD Ministry following which a detailed directive will be sent out to all schools. Why is the Board reversing its stand on board exams? Educationists observed and complained about the extreme stress faced by students due to class 10 Board Exams. This led the Board to introduce the CCE system under the UPA regime in 2011.Tests were conducted throughout the year and students were evaluated by grade. Students could write the board exams if they wanted to; it was not mandatory. A member of the Board’s Governing Body told the Indian Express that UPA government anticipated that other education boards would adopt a system like CCE but this did not happen. Therefore, while initially only 20 percent of the students wrote board exams, the number began to increase when it was realized that to change the school Board after class 10, the student had to produce the Board exam result. According to the member, CBSE and HRD Ministry sought the feedback of principals and teachers from different parts of the country and learned that an overwhelming majority wanted board exams back. Though students preferred CCE to board exams also because in general, they felt easier questions were asked at Boards to get better results, CCE could not be implemented correctly. “The CCE provided a chance identify a student’s talent but that required skilled teachers which many schools could not get”, said school principal Ameeta Mulla Watta to HT. When did the issue over language arise? The three-language formula was introduced in 1968 and mentioned again in the education policy for 1986 and 2005. Despite government’s instructions, most schools have chosen not to implement the formula, said officials. 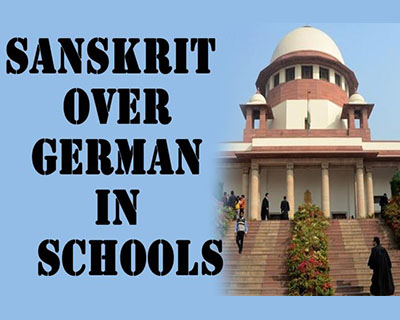 The HRD Ministry in 2014, under Smriti Irani, compelled Kendriya Vidyalayas (KVs) to stop teaching German as the third language on the basis that it violated the three-language formula. They were asked to teach Sanskrit or any other Indian language and make German a hobby language. This became a huge controversy. The government seems to frown upon private schools who have implemented their own version of the guidelines by choosing a foreign third language. The dissatisfaction is mutual. “We live in the age of globalisation where students are going abroad to study. We cannot make them study only Indian languages. We need to give them options. If someone wants to study an Indian language as third language, she should. But if someone wants to take up a foreign language, that should be allowed too,” said Priyanka Gulati, the principal of Evergreen Public School in New Delhi’s Vasundhara Enclave. Schools had other reasons too. One principal pointed out it would be an additional burden on the students if they were made to study an extra language, others said most students choose foreign languages because they plan to do their graduation abroad and this new rigid implementation would restrict their options which hinders the schools’ mission to provide students with global upbringing. Where is the objection to the decision on Board exams? Merely reversing change does not address the root cause – a dated and fundamentally flawed system. Professor Krishna Kumar, formed director of NCERT has discussed this issue in HT. India’s exam system has come under criticism from every panel since the Sadler Commission in 1919. But while the exam system is loathed, the institutions behind it are deemed to have exemplary standards. This thwarts all efforts at reform. CCE was also one such effort which schools either chose to be indifferent to or lacked the will to implement. Despite other countries adapting to modern times, India has chosen to remain committed to the 19th century model of education.Gross neglect of teacher training has empowered this model and institutional and political resistance suppresses all efforts to reform it. According to Prof. Krishna Kumar, CBSE and the state governments chose to customize CCE instead of adhering to the procedures described in NCERT materials. The chaos and confusion led to disastrous implementation and demand for repeal began to grow. This is not the first time an effort to improve the education system has backfired. This section does not provide a simple answer. It attempts to present different perspectives of comparison of India’s education system with the highly esteemed education system in Finland. Child-centric. Each child is given the opportunity and time to explore his or her potential. Meticulous and thorough teacher training and the highest standards for selection. Apart from strict conditions for qualifications of those eligible to step into the selection process, Finland holds an exhaustive selection process and then invests five years to train them. It takes this aspect of education very seriously. No private schooling. Finland decided to do away with private schools and make education solely the state’s responsibility. This gave it a single point to apply all its attention and investment on. The daring decision paid off. Children first face exams when they are sixteen. This gives children ample time to explore, learn and discover themselves without using the pressure of exams. Focus on hands-on and interdisciplinary learning. The size constraint. India is much larger than Finland. This makes stretching of its resources inevitable. Hierarchy-driven constraints. Social equity is a core value in Finland and it is reflected in the socio economic lifestyle of its people. Hierarchy characterizes all aspects of Indian society and makes it much tougher to adopt a system in which each child can realize her or his potential. Nicole Stellon O’Donnell, a recipient of the Fulbright Distinguished Award in Teaching, who is researching education in India, opines that comparisons between India or US and Finland often miss the crux. She says that in glorifying Finland, the focus is conveniently on aspects of its education – longer breaks, more outdoor activities, starting school later and freedom given to the children. This allows the root causes – poverty, the impact of religious fundamentalism on public education, commercialization and commodification of education, role of history – that ail US. She points out how US education is “uncomfortably like” education in India – both countries have violent histories of caste and race conflicts, deterioration of public school model in US to resemble the government school model in India which parents fight hard to avoid and is the only option available to the poor, child poverty, impact of issues arising from religious diversity and freedom. How have reactions to the Board’s decision on board exams been? While reactions have been mixed, even those who hailed the move did not criticize the idea of CCE but pointed out the hurdles in implementation. 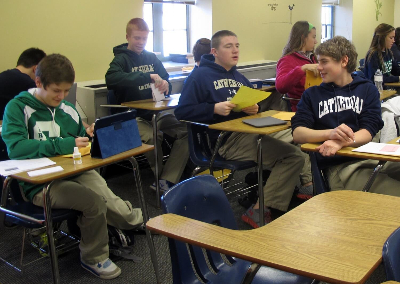 The hurdles included overwhelming class strength which was not conducive for activity-based learning. “Under CCE nobody was actually focusing on learning because teachers were busy in making files. Till Class VIII anyway the student passes and then you had CCE which meant a lot of students from government schools just entered Class XI without really having studied or tested on anything”, said the principal of Government Girls’ Senior Secondary School, Sonia Vihar. The decision received encouragement from Action Committee Unaided Recognized Private Schools, an umbrella body of around 500 schools as well.The general secretary said it would facilitate real teaching and learning. But some private schools strongly spoke out against the move. Apart from the pressure it puts on students, it replaces what could have been the first step to reform if implemented properly with regressive rote learning. “CCE is a wonderful system as it gives students holistic education. Its implementation had problems because some teachers were just lazy to put in efforts,” said Preetinder Kaur, Junior School Headmistress at Tagore International School. 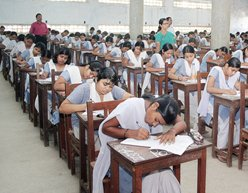 Some teachers said board exams are needed to salvage the worsening situation created by poorer results due to no-detention policy and no-board tests. Many students also spoke of increased pressure in Class 11 after a huge period of no exams. However some parents were unhappy with the plan. "In my opinion, board exams put unnecessary stress on students. Generally board syllabus is very vast and teachers rush to complete the syllabus. 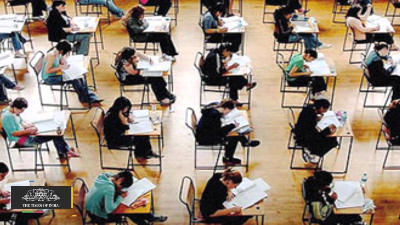 Moreover in the past, many cases have come to light where students have suffered due to an examiner's lack of apathy," said Shalini Jetley, a parent, to TOI.